Marketing trends are constantly changing and 2019 will be no different. New marketing trends will emerge into the digital marketing world and the old ones will either strengthen their position or slowly disappear. We’ve already discussed the top digital marketing trends of 2019. Now, it’s time to look for the best marketing tools which will help you bring your strategy up to speed. Of course, you can discover and implement the newest marketing trends without the help of any tools. But you will waste a ton of your time and won’t be able to spot all the opportunities that arise in front of you on time. 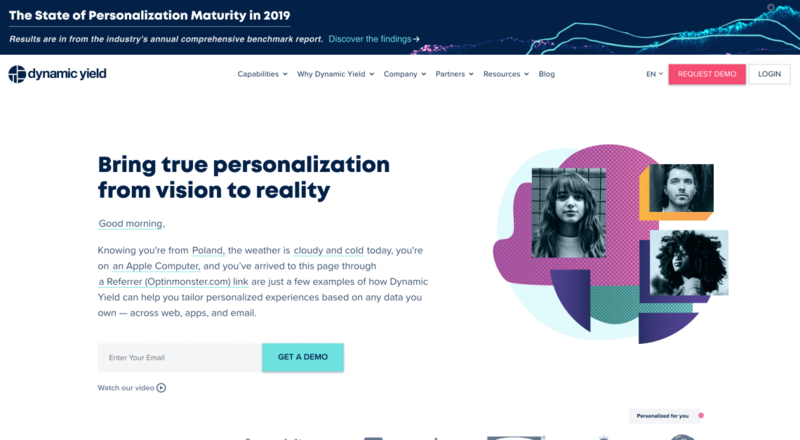 Here’s crème de la crème – 10 new marketing tools for 2019, that will help you with the most important changes in digital marketing this year! Voice search is probably the most technology-related of all the marketing trends mentioned above. The truth is that you don’t need a dedicated IT team to prepare for the changes in search patterns. Start with bringing your search engines optimisation strategies to the next level. Popularisation of voice search changes the keywords and phrases people use to find what they are looking for on the Internet. Investing in an SEO tool and exploring long-tail keywords in-depth is inevitable. Here’re two new marketing tools that are worth looking at. SEMrush is an excellent and very versatile tool. It will not only provide you with a detailed list of keywords but will also show information about search volume and keyword difficulty. SEMrush generates a list of all keywords for a predefined phrase, including long-tail keywords you should take into account while optimizing your website. analyze product listing ads of your competitors. SEMrush starts at $99.95 per month. As a content manager, I use Nightwatch on a daily basis. It’s a great SEO tool that will help you boost your online presence. Nightwatch will not only track a keyword distribution, but also assess your search visibility and report on changes in the number of keywords your content positions. One of the most useful applications of Nightwatch is automatic keyword discovery. The tool actively searches for keywords you could rank for. That’s a support mechanism I’ve been waiting for! Nightwatch starts at $19 per month, so if you want a robust SEO performance tool give it a spin! Sentiment analysis is a bit more complicated matter than SEO research as it is based on artificial intelligence and machine learning. Machines can correctly assess sentiment of online mentions. The main obstacle in sentiment analysis was the distinction between positive statement and an irony. The times have change and now most of the sentiment analysis tools can distinguish between truly positive sentiment and irony. Brand24 is a social listening tool which gathers all the publicly available mentions on the Internet that contain your predefined keyword and analyses. You can access the mentions in one neat dashboard. One of the filters is the sentiment analysis. You can examine only negative comments, only positive ones, or all of them together. In the summary tab you can compare two predefined time periods and see the change in the number of positive and negative posts. That way, you can react right away when you spot the increase of comments with negative sentiment. Brand24 offers a 14-day free trial, the paid version starts at $49. 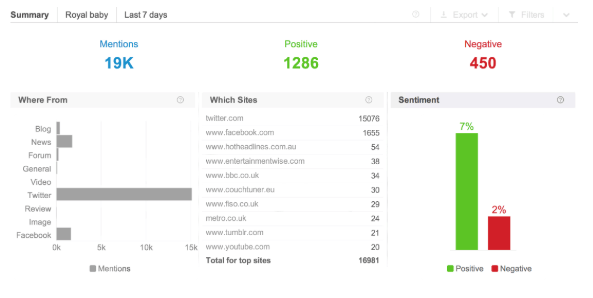 Brandwatch is another social listening tool that features sentiment analysis. Similarly to Brand24, Brandwatch analyses all publicly available mentions containing your predefined keywords. You can find an in-depth analysis of sentiment in the summary tab. The individual mentions can be sorted according to the number of followers, site visitors, forum posts, blog comments, and chronologically. Brandwatch detailed pricing is available upon request, the Pro version starts at $800 per month. Another controversial trend in digital marketing for 2019 are chatbots. They kindle conflicting emotions – people either hate them or love them. The main criticism against chatbots is that they are inefficient and often don’t solve the user’s problem. The trick is to set up a bot in a right manner. Of course, the right digital marketing tool won’t do the job for you, but the less complicated the tool, the easier it is to build a user-friendly chatbot. 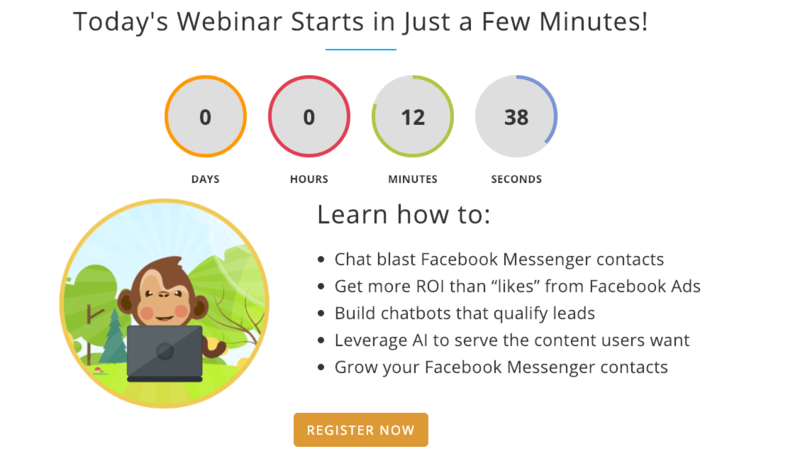 MobileMonkey is an intuitive Facebook Messenger chatbot tool for marketing and customer service. MobileMonkey will help you find new leads, increase your number of sign-ups and sales, or even promote your content. You don’t need any programming experience to set up MobileMonkey. Even if you encounter some problems, the tool offers free webinars to help you out. There is a forever free plan; the Pro accounts starts at $19 and $249. Chatfuel focuses mainly on building bots for Facebook Messenger. The great thing about Chatfuel? You don’t need any coding experience to create your first bot. To make things even easier, Chatfuel developed a set of templates you can use according to your needs. What’s more you can connect your Facebook inbox with a Chatfuel bot and automate responses to the most common questions. Chatfuel offers a free plan where you can get up to 1000 subscribers. The Pro version starts at $15 per month. According to a research paper published by Accenture, a consultancy, 41% of consumers switched companies recently over a lack of trust and poor personalization. The switch cost businesses $756 billion. Thankfully, since 2016, some new marketing tools had been developed to mitigate this disastrous outcome. I’ve chosen two best tools which you might find interesting. Both of them use only legally obtained data from, for example, your browser cookies. automatically uncover deeper segmentation opportunities. Dynamic Yield is a quote-based tool. Evergage is another robust platform for personalization and customer data management. 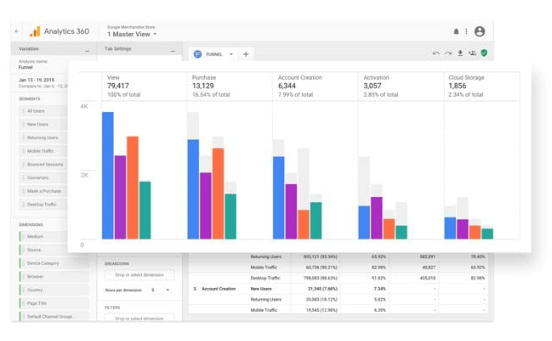 monitor statistics around your campaign, create cross-channel reports and use machine learning to identify the most important data for your digital marketing activities. Evergage pricing is based on the number of channels, web applications, mobile apps, email, monthly unique visitors and user volumes. It’s quite hard to spot micro-moments and react in time to connect with customers. But micro-moments are becoming increasingly important. According to our research, in one month more than 30 000 searches start with “where can I buy” and around 60% of these questions never receive an answer. That’s a huge opportunity for your business. The only difficulty is – how to catch those micro-moments in time? These marketing tool will help you benefit from micro-moments. I’ve already mentioned Brand24 in this article, but that’s the beauty of social media monitoring – you can use it for various purposes. Create a project where your keywords is a phrase: “where can I buy”; “where can I eat”, “who can recommend?” or anything else related to your industry. Once again, all the marketing tool will gather all mentions in one dashboard. You can then react to users queries and find new customers. There is a way around the social media monitoring tool, but I have to say, it’s not as effective and requires much more engagement from your side. If you want to benefit from micro-moments in your industry, you need to know as much as you can about your audience. For help, turn to Google Analytics 360. The better you understand the people you focus your campaign on, the greater the chance you deliver the right message at the right time. This solution has its advantages and disadvantages. The definite perk of Google Analytics 360 is that you will collect a lot of data about your customers you could use in other stages of your marketing funnel. But it is a marketing tool that requires a piece of expert knowledge and time to analyze all the results. A lot will change in 2019, that’s the beauty of digital marketing. You can prepare yourself for the changes. The top marketing tools listed in this article will definitely help you stay on track and ahead of your competition! Have you stumble upon any other interesting new marketing tools? We’d love to get to know them! Reach out to us on Twitter, Facebook, LinkedIn, or Instagram.